Little beautiful jewelry to wear every day! 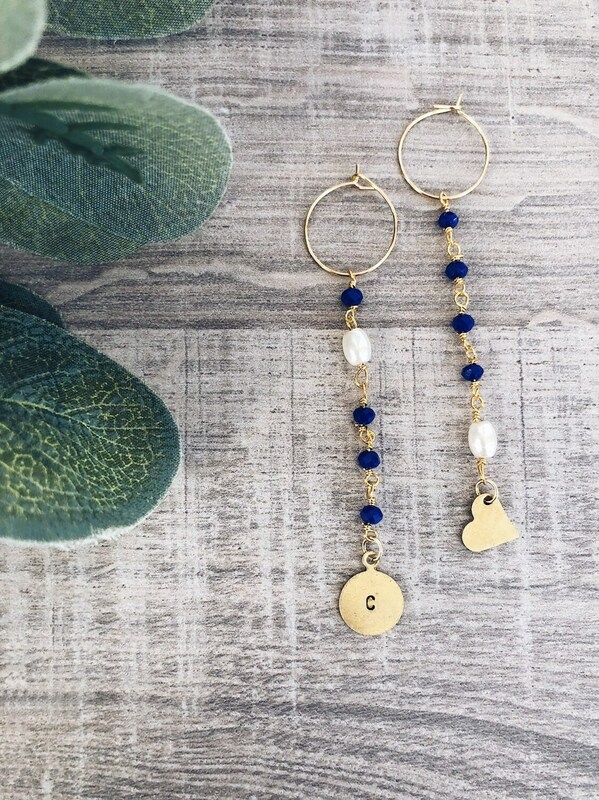 These earrings are made with yellow gold-plated brass circles, chain with beads, brass heart and initial hand-engraved. The earrings are sold in pairs. Details of Fashion is not responsible for the deterioration of your jewelry if not treated with care.